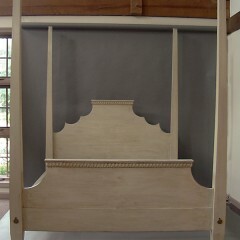 Simple Swedish style bed with tall tapering posts. 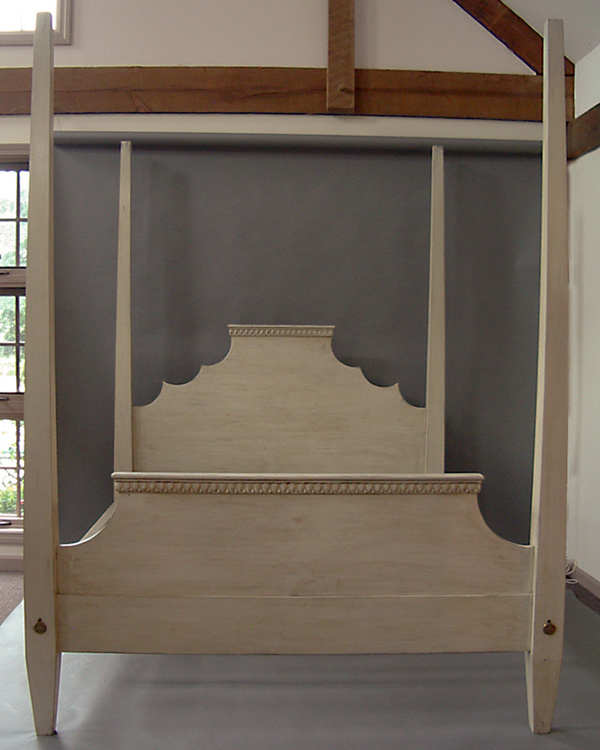 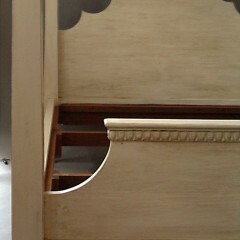 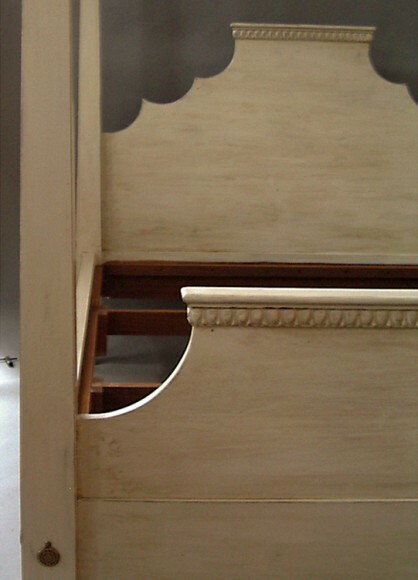 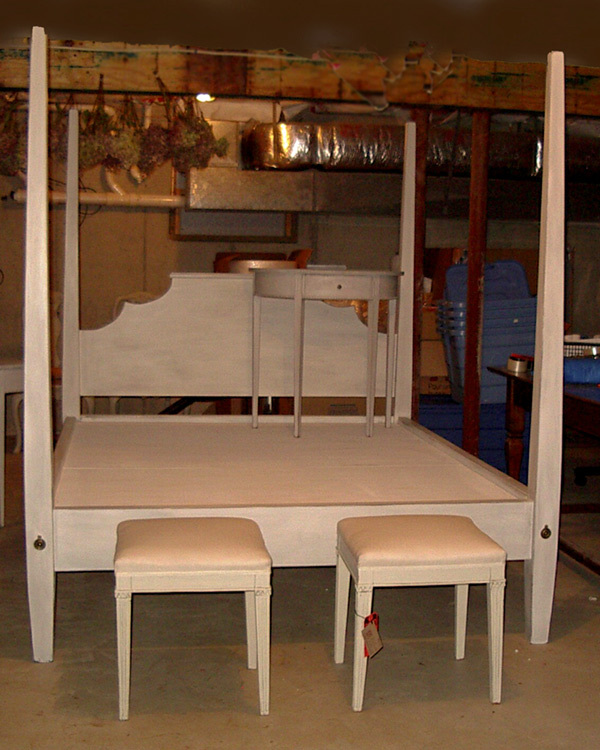 Photos show two variations on this style, a taller one with head- and footboards made to hold a mattress and box springs, and a platform bed with shorter posts and no footboard. 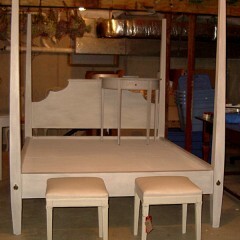 This version was finished to coordinate with the antique table and stool in the photo. Measurements and color are determined by our client’s needs.